The Iced Velvet cocktail is basically an iced tea spiked with Black Velvet. 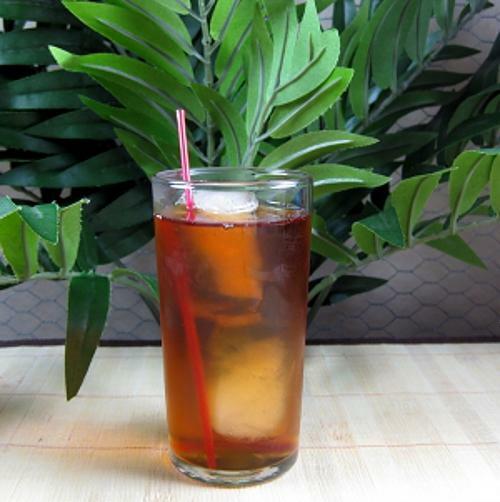 Note that the recipe assumes you’re using sweetened iced tea – if not, just add sweetener to taste. The low alcohol to mixer ratio on the Iced Velvet makes it a great drink for relaxing without fear of dehydration. It’s a nice choice for parties (especially barbecues) because it slows down guests who tend to drink too quickly, and because the iced tea masks the whiskey for those who don’t love the flavor of it on its own. Put ice in a highball glass. Pour in the ounce of whiskey, and fill it up with iced tea. Serve with a straw for stirring and sipping.